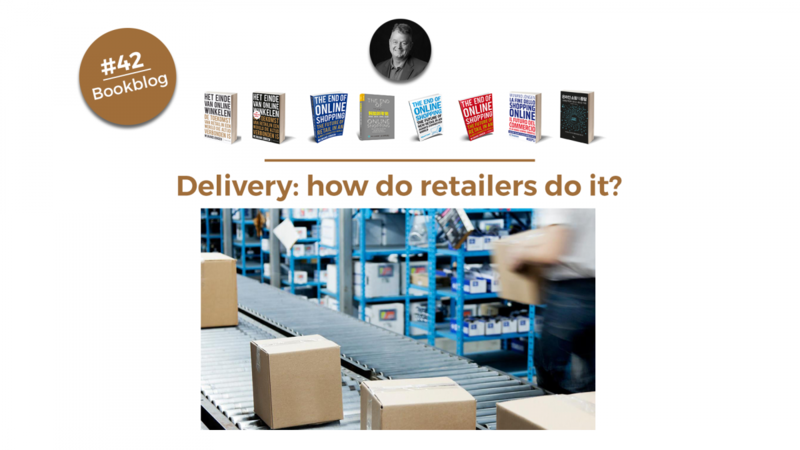 Delivery: how do retailers do it? In the retail value chain, the retailers are the ones juggling their customers’ wishes, not to mention everything from order picking to packaging to transporting the goods that have been ordered. No mean feat. While many countries have lifted the constraints on the parcel & delivery sector, the former ‘national’ companies are often still market leader. For large department stores, web stores and retail platforms, using these large-scale partners is a no-brainer. Smaller (web-based) retailers are sometimes exploring other options: joining forces with other small businesses, to purchase logistics and offer a range of delivery options to customers. All retailers find it hard to switch logistics providers – many of which demand exclusivity – not least because the infrastructures of such companies is often incompatible. New and specialist logistics providers are stepping into the fray and undermining the market position of more traditional firms. They offer bike delivery, or use drones, or have self-driving cars, or pedestrians drop things off. They can provide a range of timeslots, fast or slower delivery, flexible outposts such as buses or locker walls. Accordingly, the cost of delivery varies from free to subscription to paid for fast deliveries. The box is not the limit, not anymore. Many retailers have outsourced their fulfilment and logistics to retail platforms such as Amazon and Alibaba. At first glance, this is the perfect solution – the platforms have the know-how and technology – but the downside is retailers can now hardly do business without the platforms. It is the only way forward. The platforms themselves offer the retailers a full range of advance delivery options, from storage to packing and shipping, even including customer care. The bulk rates that Amazon has negotiated with US parcel delivery companies are available to all FBA (Fulfilment by Amazon) users, as is having their goods delivered extra fast, to Amazon’s tens of millions of Prime customers. Gradually, the platforms are becoming logistics providers themselves, for example: Google Express is delivering non-food for retailers like Costco and Walgreens. The range of options and pricing structures available to retailers for international delivery is overwhelming and almost incomprehensible. As a result, they often choose their trusted national logistics carrier and its partners abroad. Delivery habits can vary wildly from one country to the next: in the Netherlands some 80 percent of parcels are delivered at home, whereas Germany greatly favours pickup points. Home delivery at a neighbor’s address is unheard of in many countries, yet common in others. More on delivery next week, when I look at European developments and the trend of free deliveries. This is blog 42, based on my book ‘The end of online shopping. The future of retail in an always connected world’, published by Business Contact (Dutch/Flemish editions), Nubiz (English edition for UK and US, and Danish editions), WSCP Singapore (English edition for SE Asia), Post & Telecom Publishers Beijing (Chinese edition), Hoepli (Italian edition). Most recently, the book was published in Korean in December 2018 and it is being translated in German, to be published in spring 2019. Additional translations are being prepared for later in 2019.